A few weeks ago I saw this picture of Leslie Mann at the Other Woman premiere and it completely caught my eye. Not only does she look ah-maaaazing, but the color of her top and skirt is gorgeous! 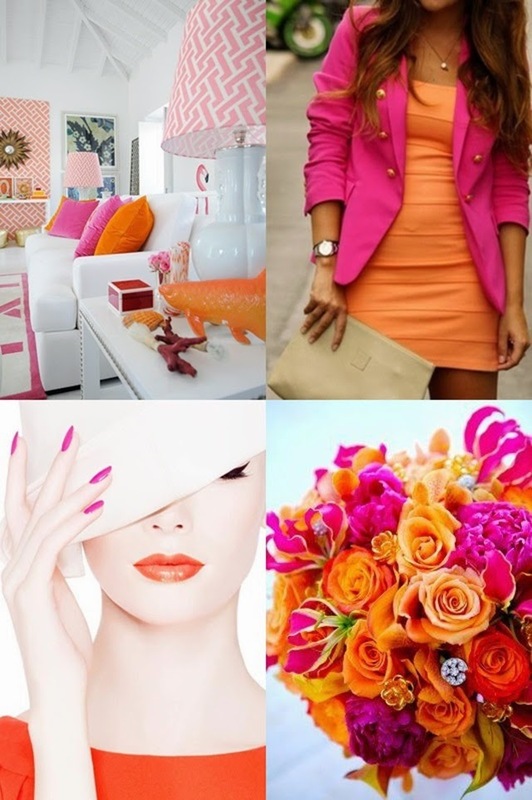 Pink and orange is not a new combination by any means, but sometimes I forget how refreshingly chic it looks paired together, especially for summer! This power couple does not only look good in clothes, but makeup, home decor, and even flowers! Take a look at these pics and get inspired with the cheery hues. absolutely love this color pairing! Its so fresh and vibrant for spring. Pinning! I love this. It's the colors of my daughter's bedroom. No one can believe how beautiful it is when they see it. Love this color combo. And love Leslie. She's totally rocking that crop top. I almost used this combo at my wedding. Love love love these colors together!